Annie Lennox was honored with the 22nd Annual Music Industry Trusts Award at an event last night. Annie received the award in recognition of her outstanding contribution to British music and tireless charity work at a gala dinner on November 4. David Munns OBE, chairman of the MITS Award committee, said: "This is very much an award from the wider British music business to honour Annie Lennox’s unique contributions to our industry. Every year – and this is our 22nd year – the British music industry comes together to honour and salute one person’s special contribution. Chrissie Hynde: " The world is a better place when you sing." Lennox’ music career began in 1971, at the age of 17, when she left her native Scotland to take up a place at the Royal Academy of Music in London. From a chance encounter with Dave Stewart in the early seventies, the pair went on to form The Tourists, who ultimately achieved significant success in the UK, Europe and Australia. It was not until the break up of the band in ’79 however, that they decided to form a duo, calling themselves Eurythmics. 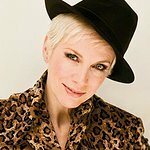 They released their first album, In the Garden, in 1981, but it was not until the worldwide success of their second album, Sweet Dreams (Are Made Of This) in 1983, that Eurythmics became the musical phenomenon we know today. Eurythmics went on to sell over 75 million albums, and achieved over 20 hits across the world. In 1990, Lennox released her debut solo album entitled Diva. Entering the charts at No.1 in the UK, the album sold around six million copies worldwide (including two and a half million in the USA). Diva included the Top 10 singles Why, Walking On Broken Glass and Little Bird. The massive global success of Diva launched Lennox as a major solo artist. The Music Industry Trusts Award, now in its 22nd year, has raised over £4.3 million for Nordoff Robbins and the BRIT Trust. It has earned its place in the entertainment industry due to the great names that have held this honour: Sir George Martin, Ahmet Ertegun, Sir Elton John and Bernie Taupin, Lucian Grainge CBE, John Barry OBE, Sir Michael Parkinson CBE, Lord Andrew Lloyd Webber, Sir Tom Jones, Kylie Minogue OBE, Sir Harvey Goldsmith, Jools Holland OBE and Gary Barlow OBE.